Since our inception in 1948 Ron-Vik has been combining mesh with plastic to offer a wide range of standard and custom products. 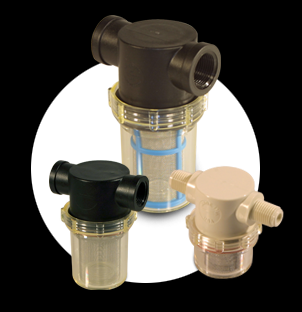 Our standard products: in-line strainers, suction line strainers and filter washers are designed to be cost effective solutions for a wide range of straining and filtering applications. We realize that sometimes a standard part is close but not exactly what you need. If this is the case, contact a Ron-Vik sales representative to discuss customization possibilities or use the quotation link above. 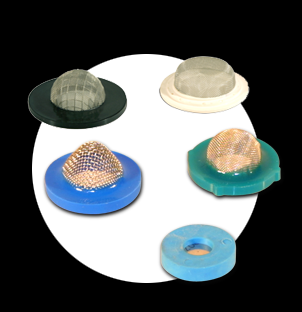 Our custom products encompass a broad range of insert molded and pot molded parts serving virtually every industry imaginable. Our sales and engineering staff will work with you to design a cost effective solution from the concept to the manufacture of your part. The ability to incorporate flanges, gaskets, cages, fittings and other elements into your design allows you to have one part that serves many functions. This means fewer parts, ease of assembly and ease of maintenance for you. Please use the pull down menu above to get more information or to request a quotation. Feel free to contact us if you need more information or assistance. 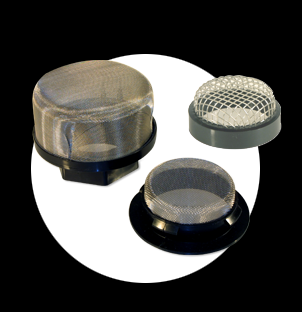 we combine wire or synthetic mesh with thermoplastics or plastisols. 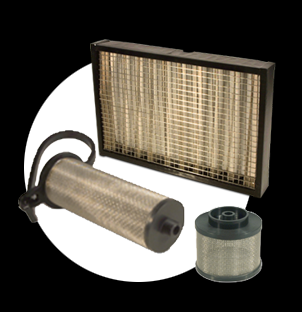 Ron-Vik, Inc is a domestic manufacturer specializing in the design and manufacture of filters and strainers which combine wire or synthetic mesh with thermo-plastics and plastisols. We have assembled a unique combination of processes, many of them proprietary, in our facility and employ a skilled and experienced staff of engineers and toolmakers. This allows us to manufacture a wide range of creative, cost effective, and competitive proprietary and custom products. We are ISO 9001 certified and committed to continuous improvement in every aspect of our business. We strive to meet and exceed our customer's expectations.